CHOOSE PRODUCT SEARCH BOPP PACKAGING TAPE LOW NOISE BOPP PACKAGING TAPE COLD BOPP PACKAGING TAPE COLOUR BOPP PACKAGING TAPE PRINTED BOPP PACKAGING TAPE STATIONERY TAPE IN 1INCH PLASTIC CORE STATIONERY TAPE IN 3INCH PAPER CORE PVC INSULATION TAPE PVC WARNING TAPE GENERAL MASKING TAPE SERIES HIGH TEMPERATURE MASKING TAPE SERIES DOUBLE SIDED OPP TAPE DOUBLE SIDED PET TAPE DOUBLE SIDED TISSUE TAPE CLOTH TAPE ALUMINUM TAPE KRAFT PAPER TAPE GUMMED KRAFT PAPER TAPE 2 INCH CORE BOPP PACKAGING TAPE RAINBOW STATIONERY TAPE ANTI SLIP TAPE VHB TAPE CHOOSE MODEL NO. 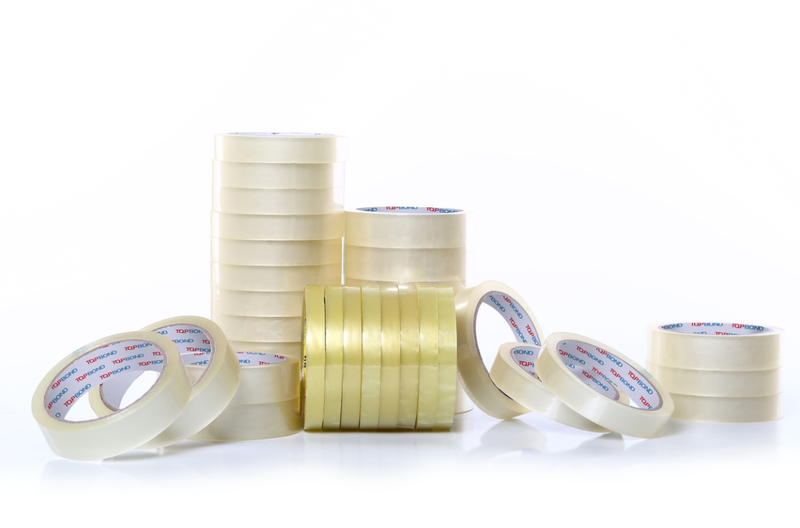 With the advantages of light and transparent, high adhesion and non-spreading,stationery tapes are ideal for general sealing, gift wrapping, paper mending & fixing, splicing.Non-easy tear and easy tear type could meet different needs. Note: The above technical data is obtained from tests and does not represent a guarantee of product performance. Copyright © 1995-2017 Topbond All Rights Reserved.